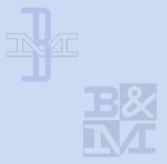 my main page and see what else you're missing! 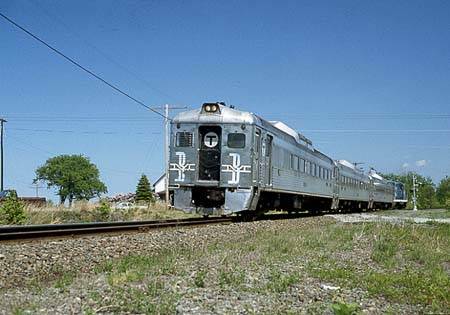 Boston & Maine Budd Car #6212 being pushed by B&M 1566 leads a MBTA commuter train westbound at the Willows in Ayer, MA during May 1982. 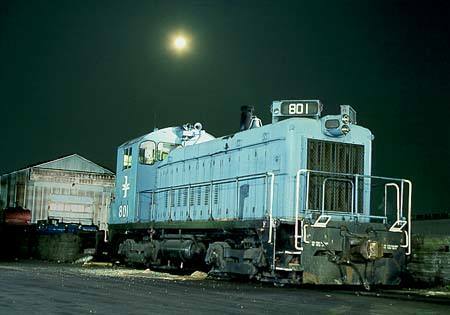 Boston & Maine #801 sits under the moon at Lawrence, MA yard while waiting for its next assignment during June 1983. 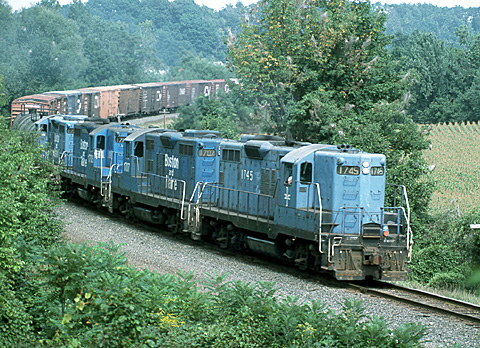 Boston & Maine #1745 leads freight CPED (Canadian Pacific to East Deerfield) southbound at Westminister, Vermont on September 8, 1985. Boston & Maine GP7 #1573 along with B&M #1229 and #1226 sit at Lawrence yard on the B&M between assigments. 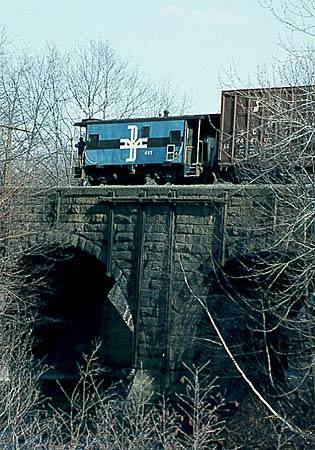 Boston & Maine GP38-2 #210 leads a westbound B&M freight past Providence & Worcester M420R #2002 at Gardner, MA on March 11, 1985. 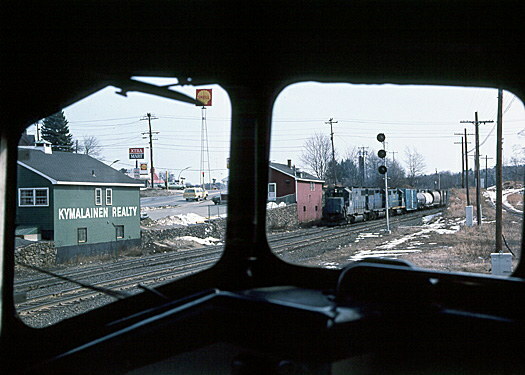 Shot taken from inside the cab of #2002. 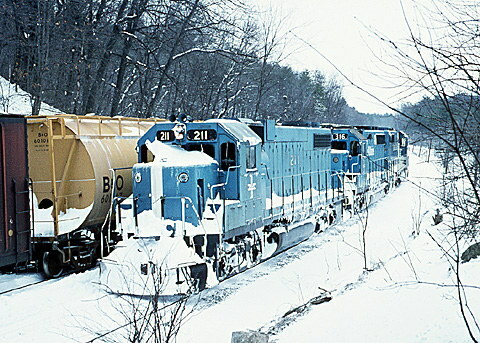 Boston & Maine GP38-2 #211 heads west in the snow at Westford, MA during March 1982. Boston & Maine Budd Car #6146 sits at Haverhill, MA while in use on the MBTA. 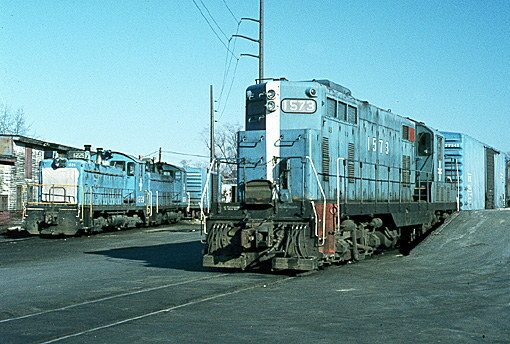 No longer self-propelled, the 6146 now needs a diesel locomotive to get around. without express written permission from Houghton's RailImages.